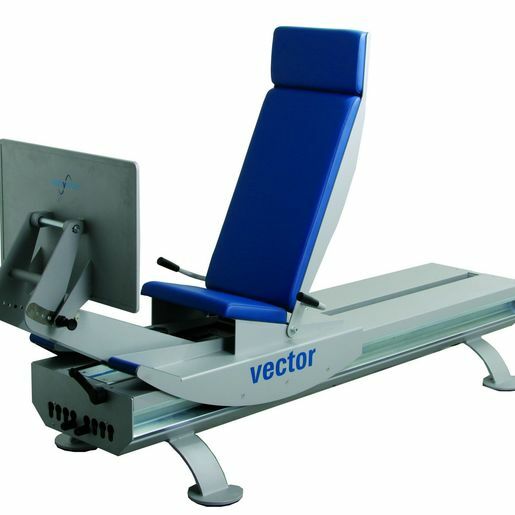 The work done with an elastic resistance, characterized by progressive load and lack of inertia, allows to perform tests and exercises that can be customized depending on individual motor abilities in order to promote precocious active recovery of larger joints. 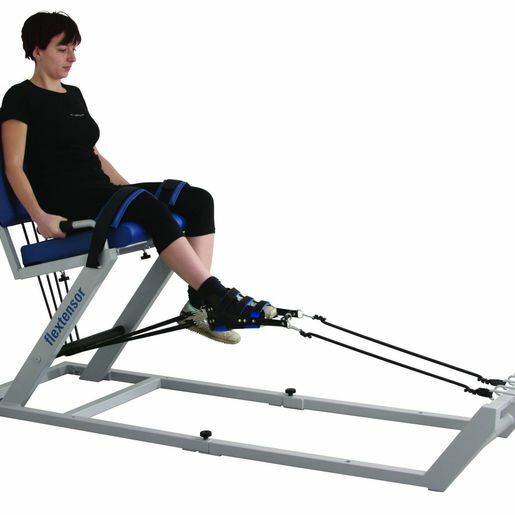 The device allows the muscles of the lower limb to be exercised through an analytical strengthening work of the femoral quadriceps and the knee flexor muscles. 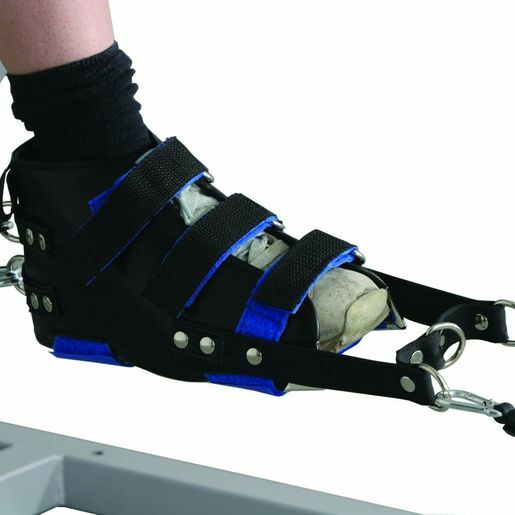 With Flextensor it is possible to easily switch from light loads with a low joint impact (initial stages) to heavier loads and exercises with a high angular speed during the final stages and until complete recovery is achieved. 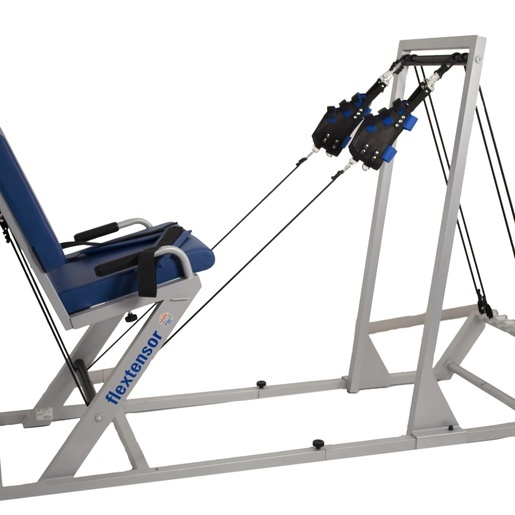 Flextensor enables to stimulate the knee extensor and flexor muscles with isometric and isotonic exercises by programming a series of exercises and repetitions. The device can also be configured to allow patients to perform gestural movements at maximum speed. 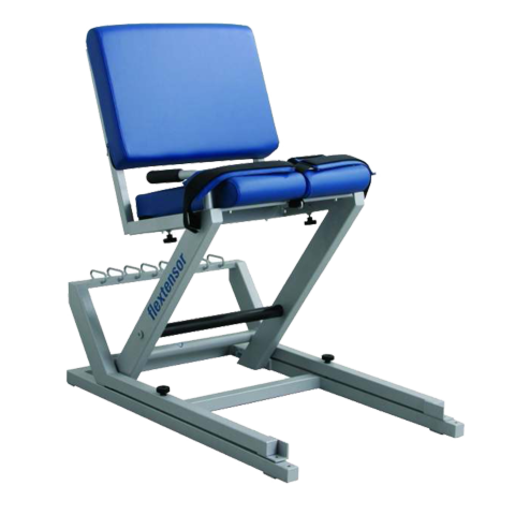 Thanks to the possibility of expressing fast forces with controlled and limited ballistic movements, which are similar to those of sport activities, Flextensor is also ideal for on-site training.